Looking for a healthy fall snack that can be used as a quick breakfast, afternoon treat, or energy boost before or after a workout? 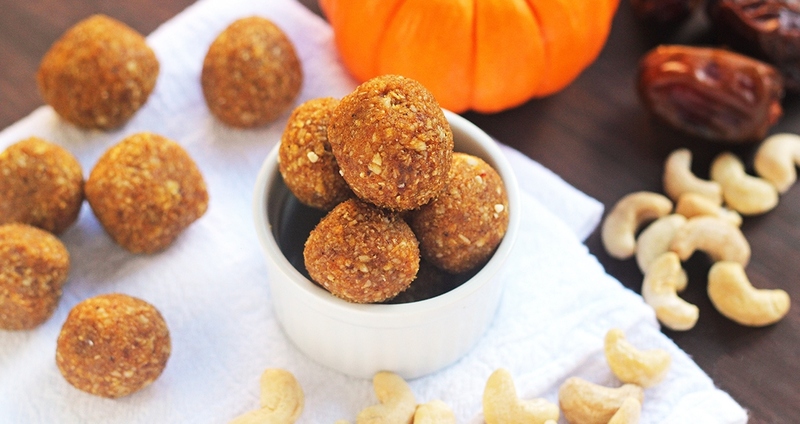 These pumpkin spice energy balls are packed with protein and healthy fats to help you get through the day! Add all ingredients to a food processor. Process until ingredients are well incorporated and smooth. Use a tablespoon to portion dough. Roll with your hands into one-inch balls. Enjoy immediately or store in a sealed container in the refrigerator in a single layer.